Gold Archives - Pebbles, Inc.
Hello Pebbles friends! 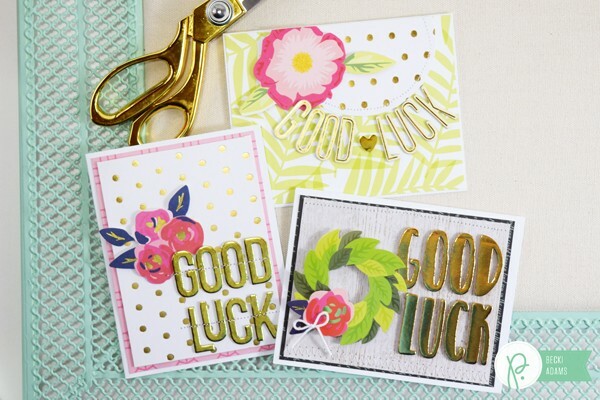 Becki here to share with you a set of good luck cards I created using the new Everyday collection. St. Patrick’s Day is right around the corner, and we all could use a little bit of luck, right? Last year I created a set of St. Patrick’s Day themed cards. 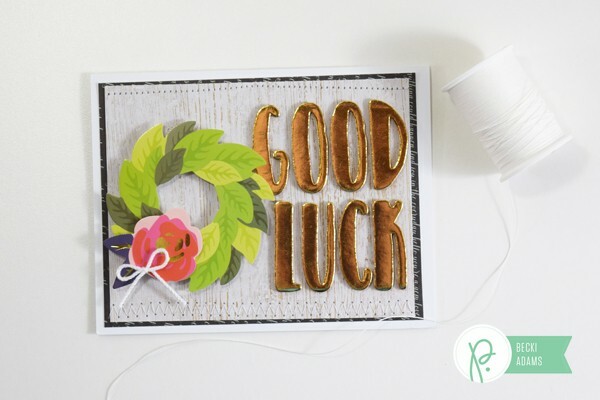 This year I decided to create a set of “Good Luck” cards. I gathered a few of my favorite Pebbles Thickers (gold of course) and got started. All the sentiments on these cards are Thickers. Thickers make sentiments so easy and versatile. I Used a lot of paper from the 6×6 paper pad and a few stickers for embellishments. 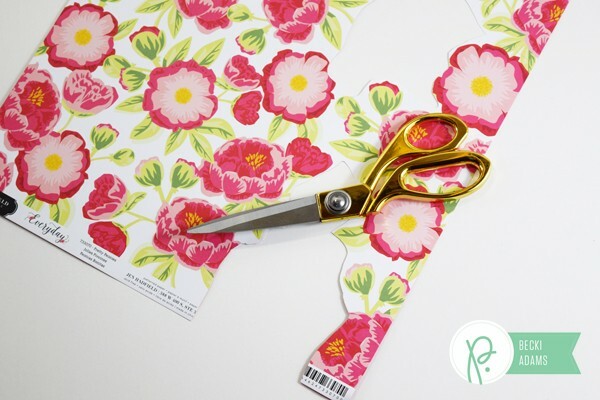 This card has Thickers and some fussy cut flowers from the Pretty Peonies patterned paper. 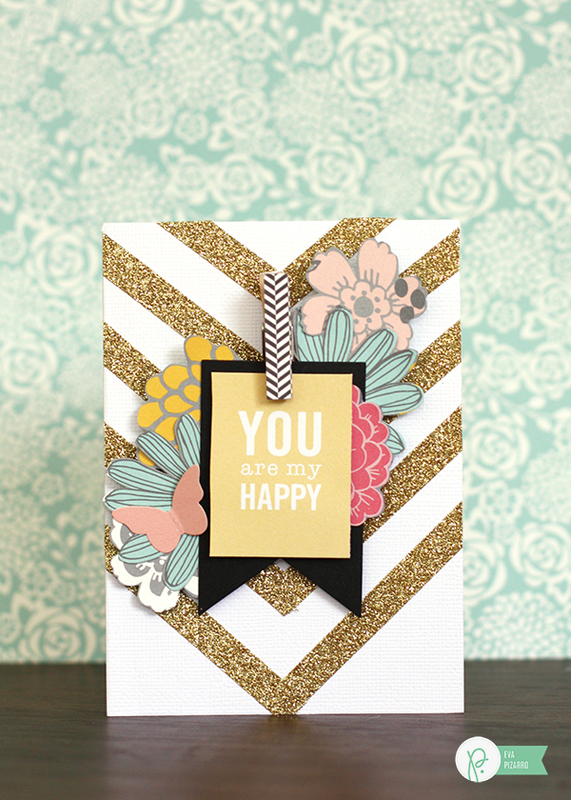 When I first saw this patterned paper I knew I wanted to fussy cut some of those flowers out. They’re beautiful!! And who wouldn’t want to spend time cutting gorgeous flowers with gold scissors? The card with the green wreath is my favorite from this card set. I’ve loved that wreath sticker ever since I laid eyes on it. I knew it would make the perfect card. 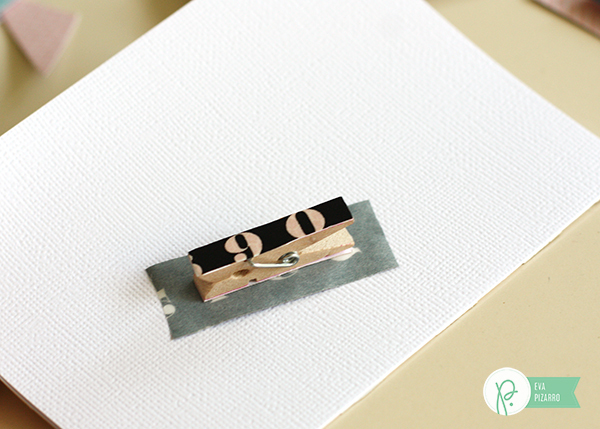 One of my favorite details to add to hand made cards is machine stitching. In a previous post I showed you how I finish the inside of my cards when I use my sewing machine. You can find that tutorial HERE. 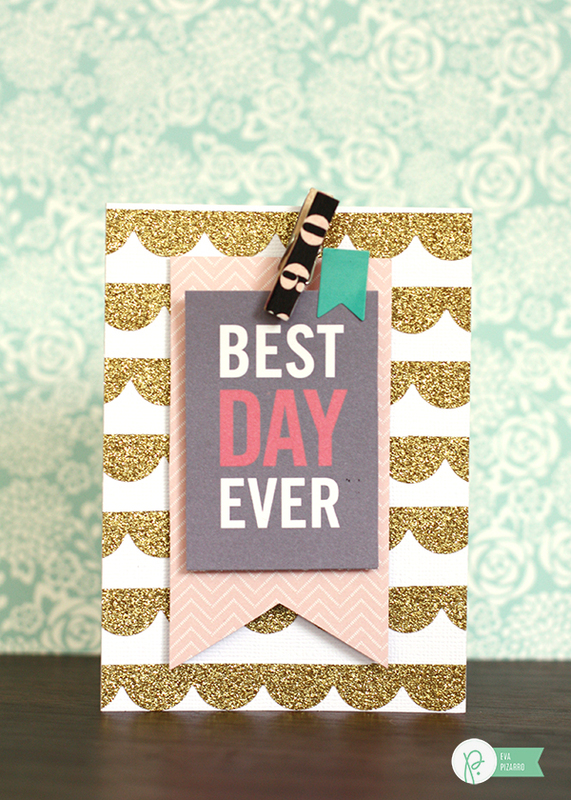 The last card I created features a gold sentiment on a white and gold polka dot background. On this card I stitched the Thickers to the card base to make sure they would stay in place. I’m glad to have these cards in my stash for St. Patrick’s Day as well as graduation season. Thanks for stopping by the Pebbles blog today. Top o’ the mornin’ to ya! Amanda here today. Spring is right around the corner and I couldn’t be more excited. I can’t wait for the flowers and trees to bloom and bud and breathe a little bit of color into the drab winter landscape. 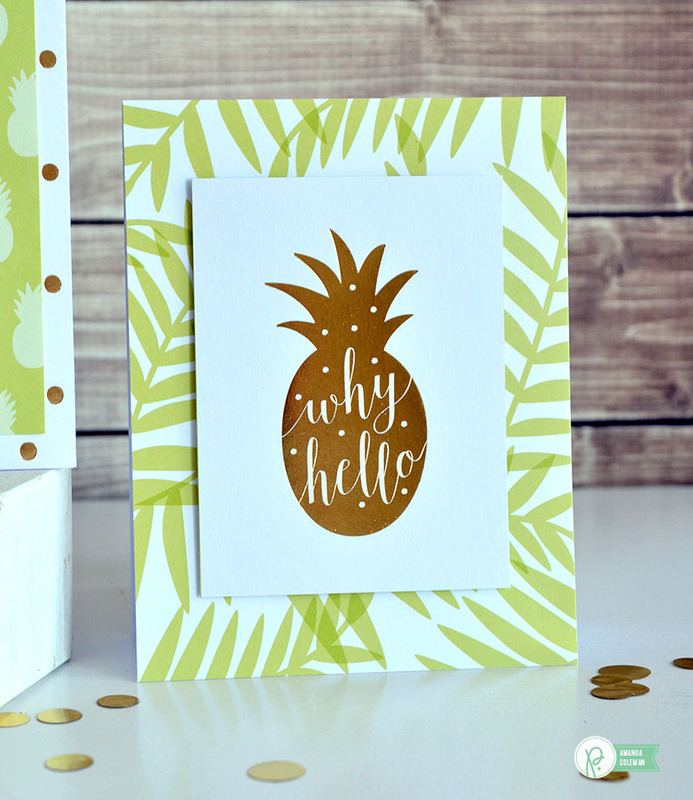 I pulled out a bunch of gold foiled pineapples and embellishments and paired them with some happy green patterned paper to create an instant Spring atmosphere in my craft room. 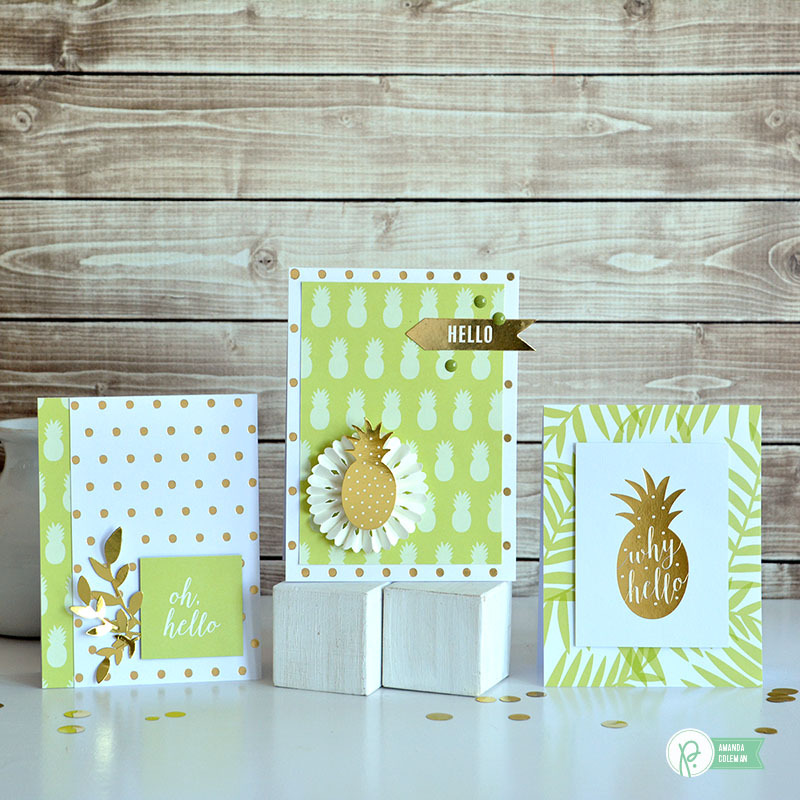 Departing from the more traditional “pot-o-gold” and ‘kiss me I’m Irish” sentiments, I thought it would be fun to put a trendy twist on green and gold cards during the month of March. The chartreuse greens from the Everyday collection compliments gold foil to make a new color combination inspired by the classic St. Patrick’s day bright green and gold. Everything about this card reminds me of my in-law’s south Florida home decor, but in a good way. 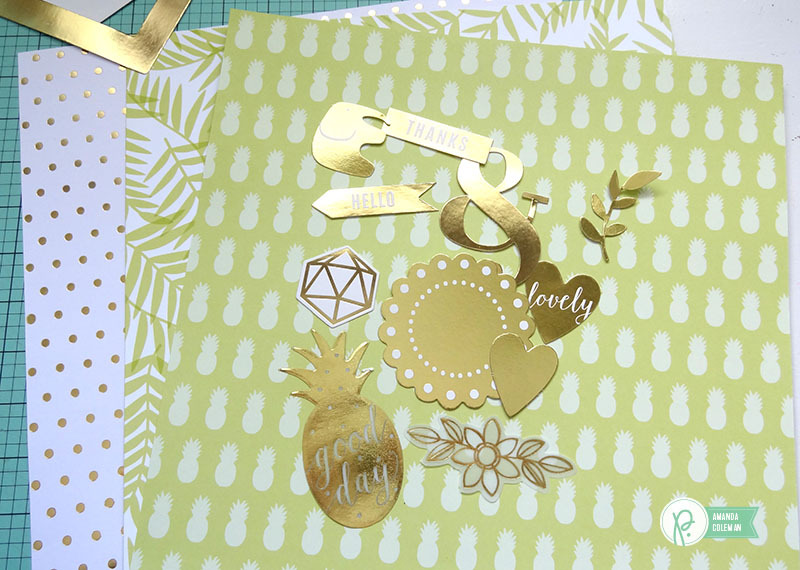 A gold foiled journaling card centered on a piece of coordinating patterned paper makes for a simple, yet stunning, card. 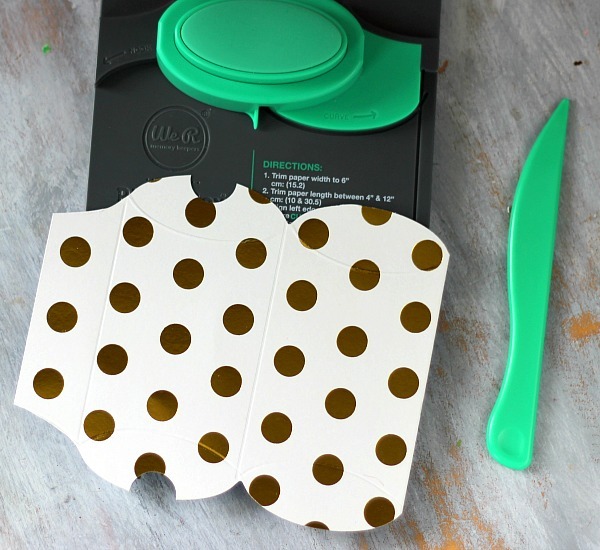 Pop up the journaling card with some foam dots to add some more dimension to the card. 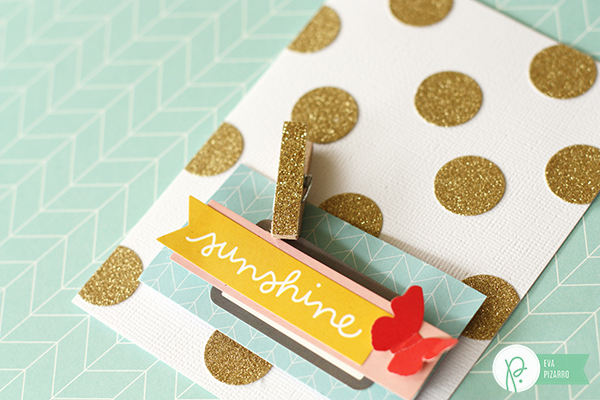 You can’t go wrong with gold dots and a sweet and simple sentiment. 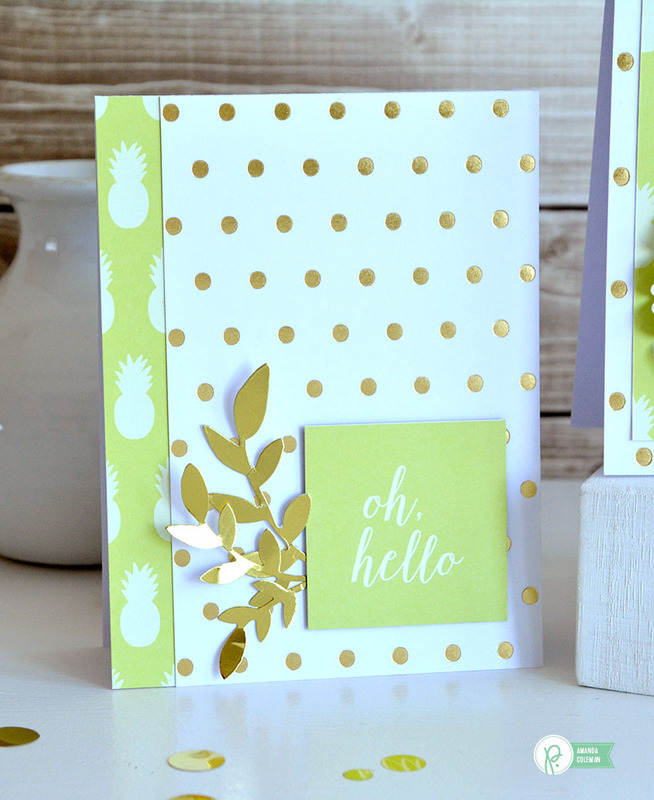 Hello cards are my favorite to keep in my stash because you can use them for almost any occasion. 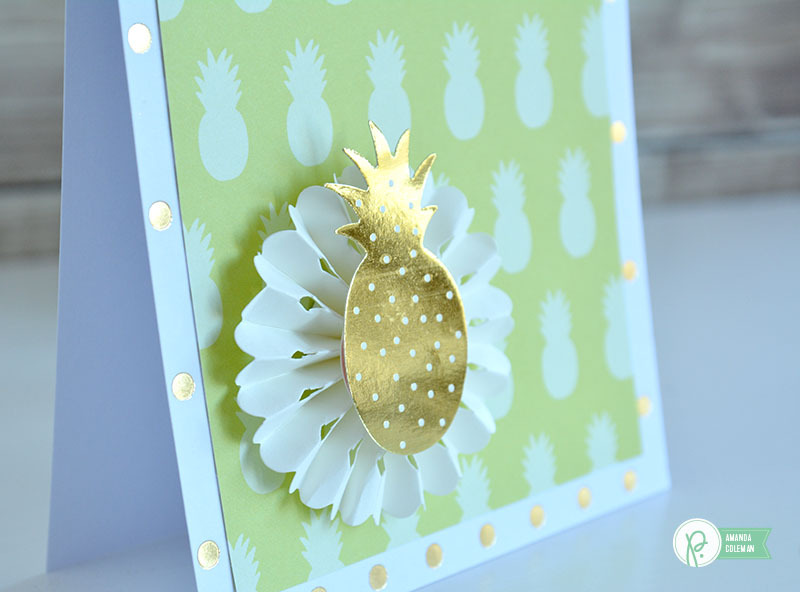 If gold pineapples were running for president, I’d vote for them. They are positively irresistible. 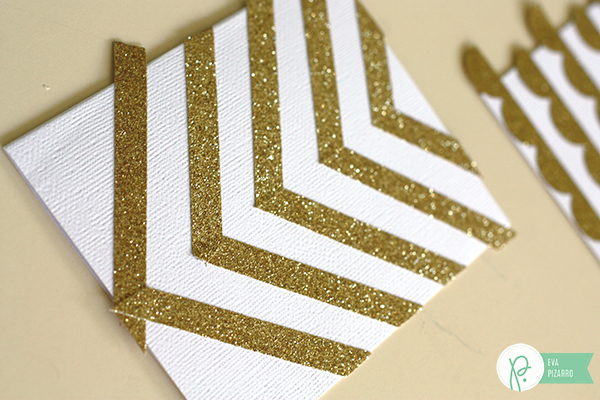 Trim patterned paper to just the right size to create a gold dot marquee border around the edge of the card. 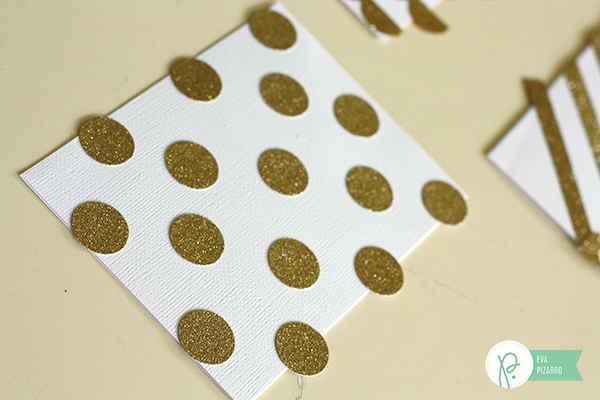 Start your gold and green projects by gathering papers and gold embellishments. I didn’t end up using all of these embellishments, but having them in one place made it easy to experiment with different arrangements and combinations. Create custom embellishments by altering embellishments from other Pebbles collections. 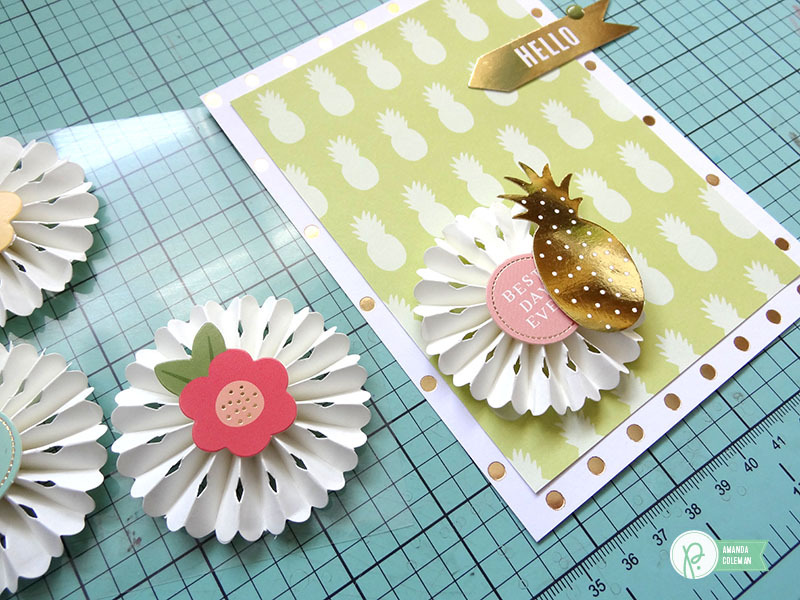 I customized these accordion rosettes from the Spring Fling collection by adhering a gold pineapple on top of the original sentiment. Hi Pebbles Fans! 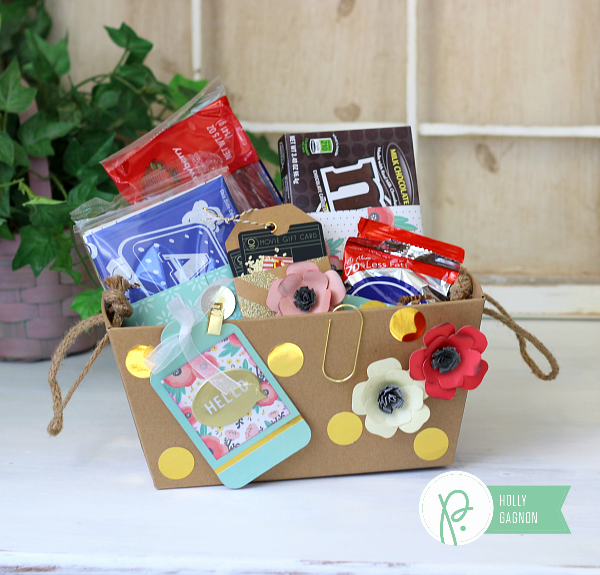 Holly here from Ribbons & Glue sharing a quick and simple DIY Movie Theater Gift Basket made from the Pebbles Inc. Cottage Living collection. This simple gift basket is the perfect gift idea when you need to make a quick weekend gift. The gift basket contains popcorn, candy and movie gift cards which gives the recipient a choice to stay home and rent a movie or actually catch a movie on the big screen. Of course, I’m not endorsing that you bring the candy in the box into the movie theaters, but I won’t tell if you do! 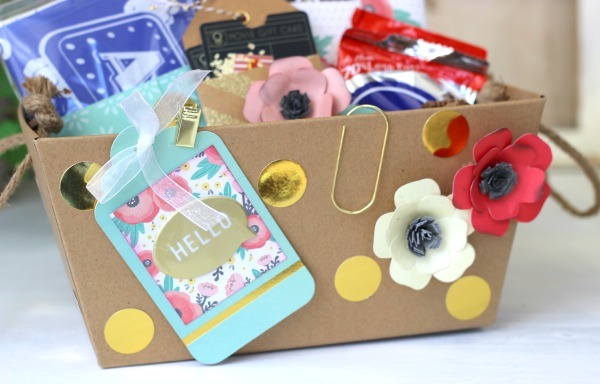 The Cottage Living papers and embellishments really made this gift basket a quick and easy project to assemble! 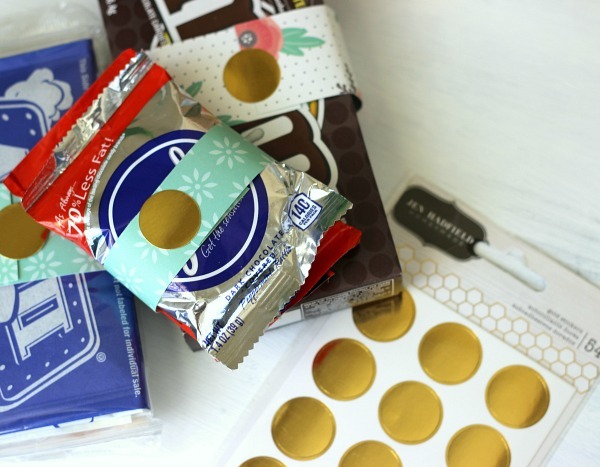 I wrapped the candy with a 1 -1/2 inch belly band around the middle which is held together with gold circle stickers. 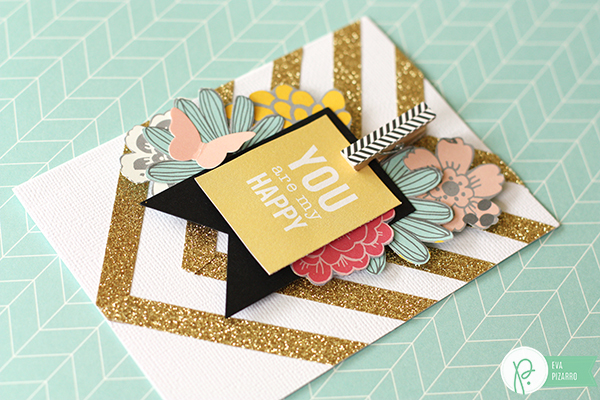 The “hello” hang tag is made from a gold dipped tag and embellished with 6×6 patterned paper and a puffy phrase sticker. 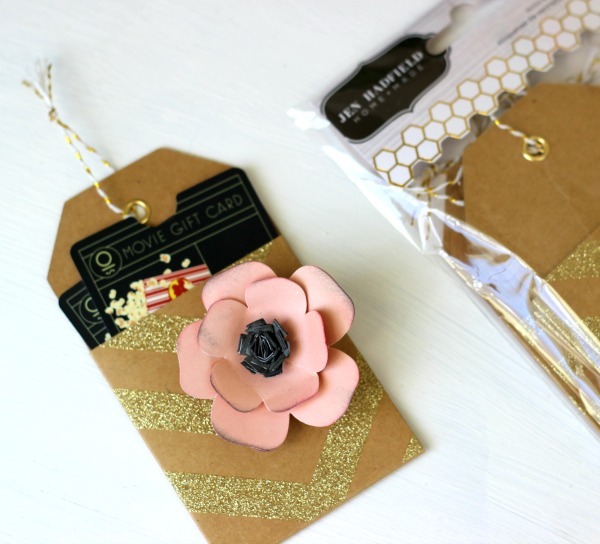 The movie theater gift cards are stuck inside a cute mini kraft pocket tag and embellished with a paper flower. Hello Pebbles Fans! Holly here from Ribbons & Glue! 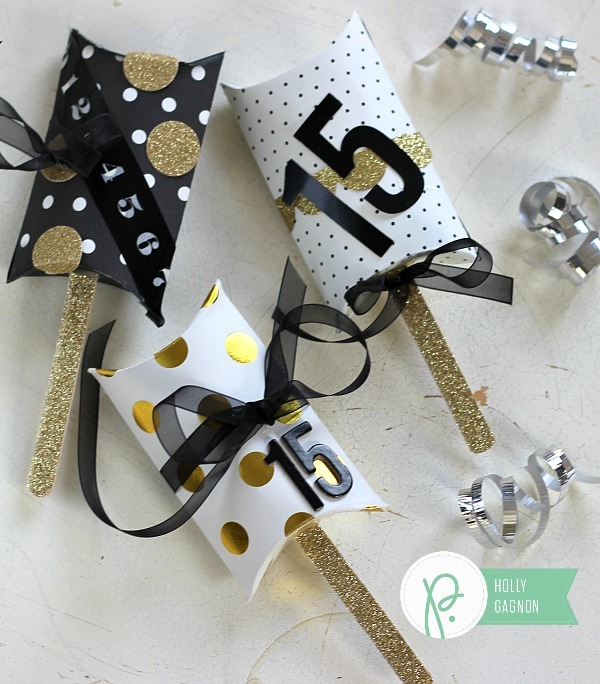 Since the New Year is creeping upon us, I’m sharing some simple Pillow Box Shakers made from the Pebbles Inc. Home+Made collection that would be perfect to make to ring in the New Year. These shaker boxes are made using the We R Memory Keepers Pillow Box Punch Board and the gorgeous Home+Made collection by Jen Hadfield. 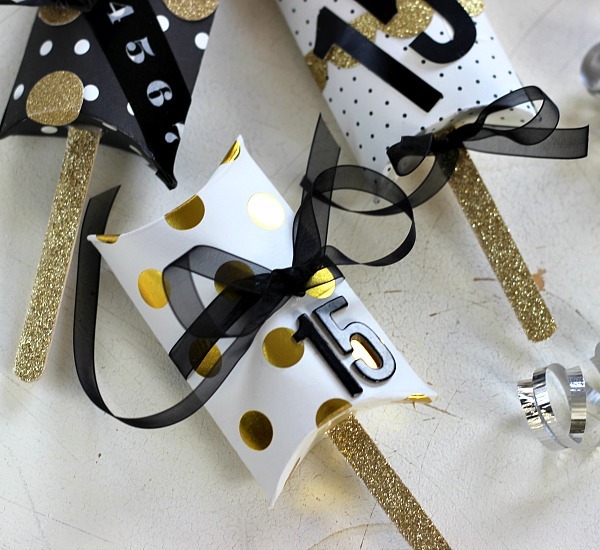 This collection is full of gold which just screams Happy New Year! To make my Pillow Box Shakers, I made a 5 x 6 inch pillow box following the We R Memory Keepers Punch Board instructions. I then added pop corn kernels inside the box to use as a noise maker and hot glued the ends of the box together. 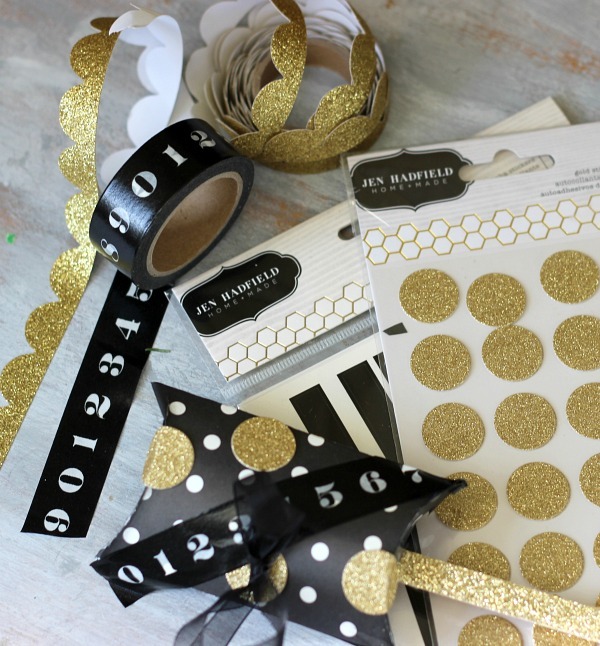 The boxes are embellished with Home+Made decorative tapes, Alpha Thickers, gold stickers, glitter tape and ribbon. I cut a small slit at the end of each box and hot glued the boxes onto a popsicle stick that I covered with glitter tape. You can see how I assembled these Pillow Box Shakers on my blog Ribbons & Glue. Hi everyone! 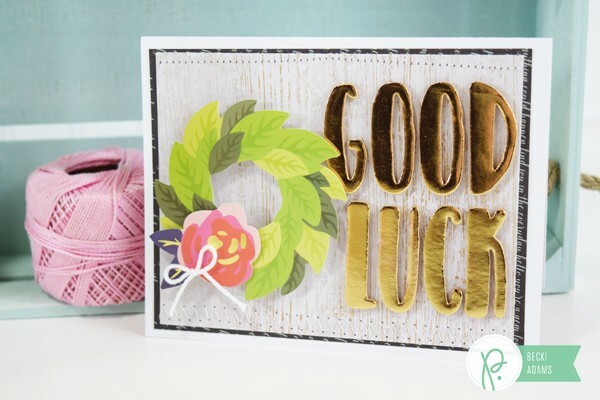 I’m Eva Pizarro and I`m very happy to show you some ways you can use clothespins and stickers to embellish your projects. 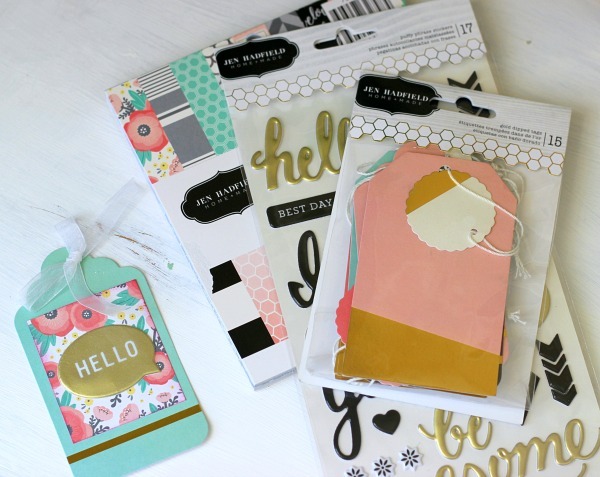 When I saw the Home+Made line the embellishment that I liked the most was that sticker sheet full of dots! 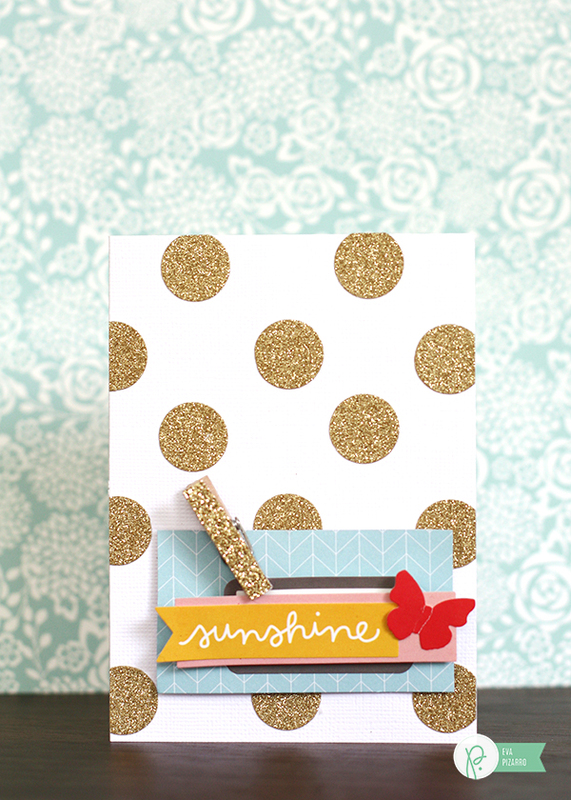 I love polka dots and knew I would use them to create a background. 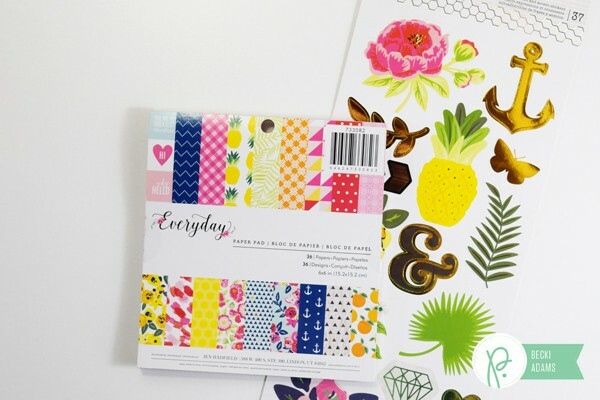 The package has plenty stickers so you can use them for a card (like I did) or a layout. 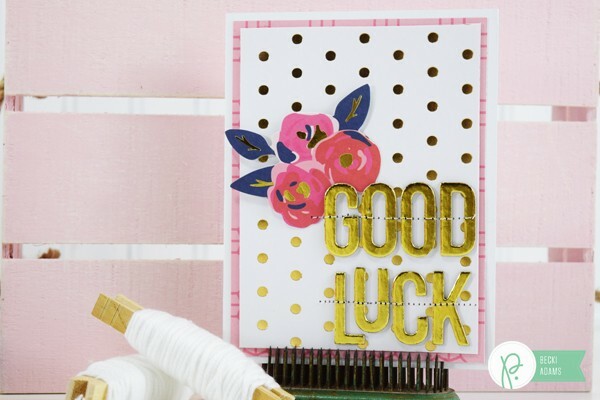 As my base I used white cards from American Crafts and different stickers. 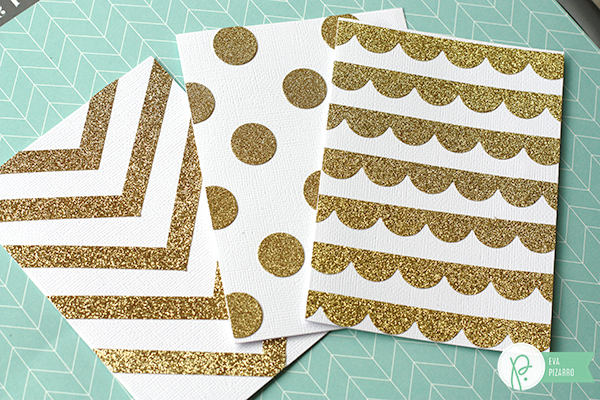 The dots, the scallop gold tape and some glittered GOLDEN tape. Create the background you want, I did polka dots, some scallop lines and an arrow pattern. Trim the excess. 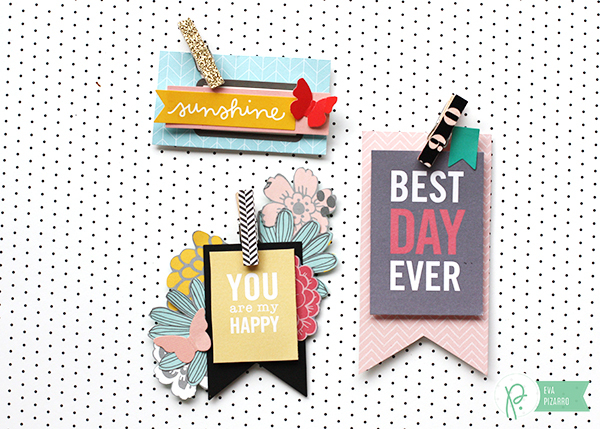 I then created some tags with the beautiful papers and stickers from the Home+Made line. I cut out some sentiments from one of the sheets of paper and used some mini clothespins to hold everything together. 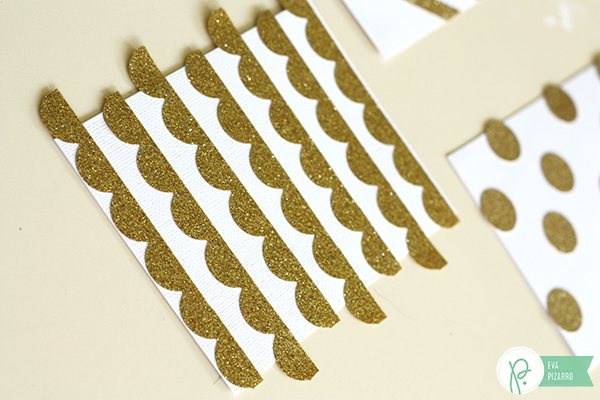 These little embellishments are super versatile and the best part is that you can use washi tape or glittered tape to combine them perfectly to your project. 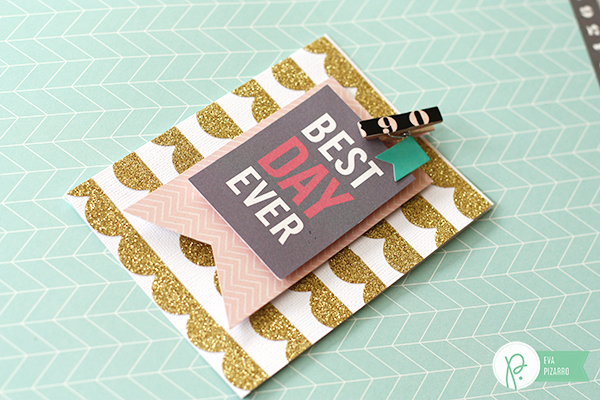 Attach these tags to your cards with some foam adhesive and you are done!